Do you have an automated way to market to your email list? Are you thinking of creating a sales funnel? To explore how to automate your email marketing, I interview Yaro Starak. In this episode, I interview Yaro Starak, a blogging expert who specializes in helping people turn their blogs into profitable businesses. He’s the author of the ebook Blog Profits Blueprint. Yaro also is an expert in building automated email sales funnels. Yaro shares what you need to know to build successful email sales funnels that sell for you. 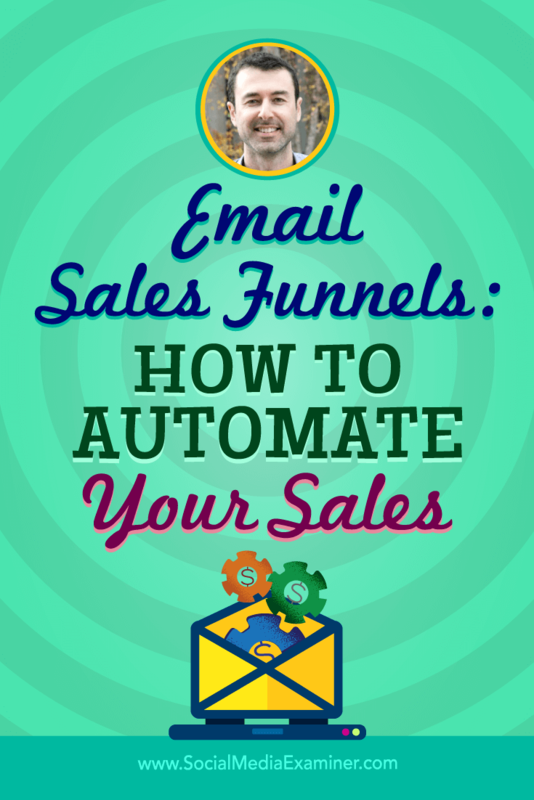 You’ll discover how to create a successful automated email sequence. Email Sales Funnels: How to Automate Your Sales featuring insights from Yaro Starak on the Social Media Marketing Podcast. Yaro discovered blogging in 2004 after someone suggested he start a blog for his editing company. While many bloggers were spending a lot of time writing content, Yaro knew of people who generated $30,000 using email. To avoid becoming one of those bloggers who was trapped writing 20 posts a day and to automate the sales process for his course, Yaro built what he now calls a blog sales funnel. A screenshot of Yaro’s website. He set up a series of blog posts to go to his email newsletter once a week for 52 weeks. Then at intervals throughout the email delivery process, he would include a sales message for his course. Yaro notes that it took him six months to write a year’s worth of messages, so he recommends starting smaller. He’s spent the last few years building and perfecting his process. Listen to the show to discover when and why Yaro first went online. Email sales funnels deliver sequenced pieces of content to anyone who opts in, Yaro explains. When automated, those emails (autoresponders) let marketers deliver trust, educate, and sell their product on autopilot. 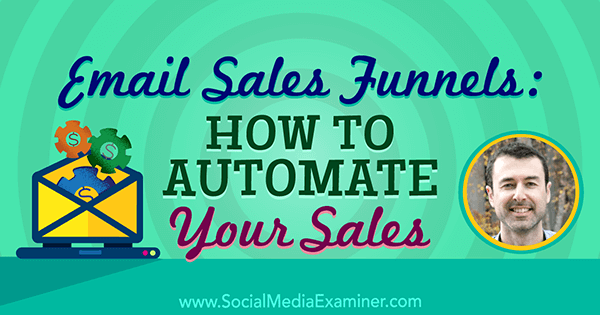 Automated email funnels can generate sales. Businesses have customers at different levels of interest, he points out. Some people are ready to buy a $30 ebook but aren’t ready to invest $1,000 in a course. Some want to purchase everything you offer, while others just want to explore your free information. After you set up an email sales funnel, it automatically meets the needs of all of those different people. As each person goes through the email sequence and various product offers, they self-select to enter the next sales level. Yaro now markets a range of ebooks, his membership site, and a flagship course. Because he set up a range of email sequences to market each one, he’s free to spend his time blogging and doing podcasts. When someone new discovers him via a blog post or a podcast, his sales funnel automatically goes to work. Listen to the show to hear Yaro discuss the old-school way of doing email newsletters. Yaro shares that he uses an event-based direct selling launch sequence, similar to that of the Jeff Walker school of marketing, to sell his flagship course. The launch includes a series of free videos and a free copy of his Blog Profits Blueprint report. At the end of the launch, he delivers an offer to join his course. To automate that process, he’s set up an email sequence that’s triggered when someone visits his site and opts to receive a copy of the Blog Profits Blueprint report. Once people opt in, they receive a series of video trainings over three weeks via an automated email sequence. On the fourth week, he invites people to enter his course. Comparing the two processes, Yaro says it’s not necessarily changing the way you sell; it’s applying automation to create a more hands-off business process. Once people sign up for Yaro’s Blog Profits Blueprint, they go through a series of training videos before getting to the one that asks for the sale. Yaro also shares examples from two of his students. Tracy Raftl offers a free report on her blog, TheLoveVitamin.com. When someone opts to receive the report, they start receiving a series of emails she’s set up to promote her academy. Joel Friedlander, who runs TheBookDesigner.com, uses a free guide about self-publishing as his opt-in offer and relies heavily on email to drive sales. Yaro says he’s used automated two- to three-week email sequences to sell three of his ebooks for the past three years, and shares that many of the people who purchase the ebooks also upgrade and choose to join his membership community. Listen to the show to discover how Yaro combines launches and automated sales. The first thing is to understand that each piece of content in your sequence should eventually lead to a product sale. Once you’ve got your head around that idea, it’s best to start with a front-end email sequence that spans two weeks. Plan six messages: three to deliver in the first week, and three in the second week. During week one, use your first email to provide some background. Explain who you are, how you became good at what you do, and all the trials and tribulations that led you to this point. This message will build trust and authority, and create a friendship bond. In the second email, share the breakthrough moment that relates to the problem your product solves. Use the third email to educate your reader with how-to content. You can then use the messages during the second week to run a special with an expiration date and let people know the product goes to full price after that date. In the fourth message, create urgency by announcing that your product is available only for that week, is half price, or comes with something special this week only. Share a bit about the product and link to your sales video. In the fifth message, deliver a case study to demonstrate social proof and authority. In the last message, deliver a 24-hour warning the price is going up or the program is closing. I asked Yaro if messaging three times a week is a best practice. He said no, that messaging sequences are not a one-size-fits-all prospect. While the two-week six-email sequence should work for a lower-priced product (such as a $30 ebook), six emails likely aren’t enough to sell a $1,000 product. Yaro has a longer funnel sequence for his flagship course. Listen to the show to hear Yaro’s thoughts on the types of emails we send at Social Media Examiner. You should be able to create your sequence of six emails within a week, especially if you already have the product. Then you can use a service such as AWeber, MailChimp, or another email provider to set up your autoresponder sequence. If, after the two-week focused experience, your recipient says no to buying, transition him or her to what’s called a “house list.” You can use the house list segment to deliver ongoing content that maintains the relationship but isn’t as strategically oriented: your latest updates, blog posts, podcast episodes, and so on. This basic two-week process can be compressed into one week, depending on what you’re talking about and how deep you have to go. It’s the same as a webinar, sales page, or launch video sequence. Break it apart and give people an experience over time with you. Listen to the show to hear Yaro’s answers to my rapid-fire questions about the sequence. Take your draft text and submit it either through the web, iOS, or Android app. It goes off to their team and one of their editors claims the job. They edit your words, send them back to you, and point out every change. Fast turn-around time, too. Your first 100 words are free, but you have to buy words as you go. The more words you buy in bulk, the less expensive it becomes. Listen to the show to learn more and let us know how Editorr works for you. Learn more about Yaro on his blog. 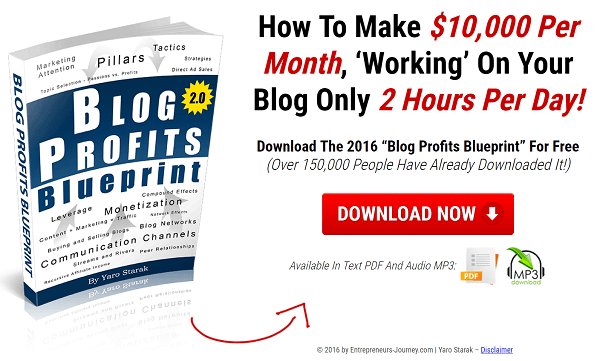 Get the Blog Profits Blueprint. Check out Yaro’s email courses. Explore Jeff Walker’s launch formula. Take a look at Tracy Raftl and her blog TheLoveVitamin.com. Check out Joel Friedlander and his free guide on TheBookDesigner.com. Learn more about Yaro’s flagship course. What do you think? 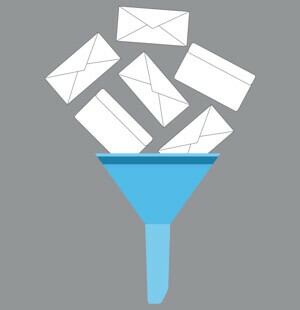 What are your thoughts on email sales funnels? Please leave your comments below.